You would think that after running as many races as I have, I wouldn’t get nervous anymore. Not so. I find my heart fluttering days before each new race, and the thought that runs in a loop through my head is, What if I can’t do it? I’m registered to run another race on Saturday, a 10K this time, and the jitters have already started. Aside from the normal nervous musings, there’s a new factor in the mix: I’ve never raced this distance before. Sure, I’ve done tons of 5Ks, a couple of four-milers, and two half marathons. I’ve at least covered the bookend distances, so this one should be no sweat (rhetorically speaking, of course!). Add to that the fact that I run this distance occasionally on my regular evening jaunts, so I know I can do it without a lot of extra effort. A walk in the park, right? Somehow I still fret. All the way up to the starting line, the jitters will build. I’ll calm a bit on the course, but until I cross that finish line, I won’t be completely confident that I’ll get it done. That’s probably not all bad. Those jitters keep me going, pushing me along just ahead of the fear of failure that nips at my heels. 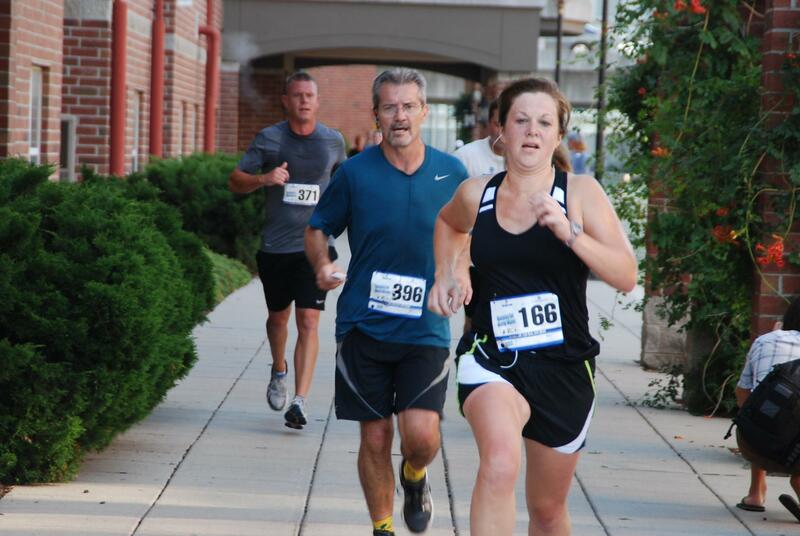 The resulting sense of accomplishment I feel when I cross that finish line is that much sweeter. Guess I’ll hang on to my bundle of nerves for a while longer. It might be worth something. Like you say, the jitters will help keep you going! Plus you manage to look quite elegant while running, I’m impressed! Thanks, Letizia! I’ve never considered myself an elegant-looking runner; I usually think I look miserable, but I’ve been trying to change that.